Today is my favorite day of class because we get to talk about combining signs. 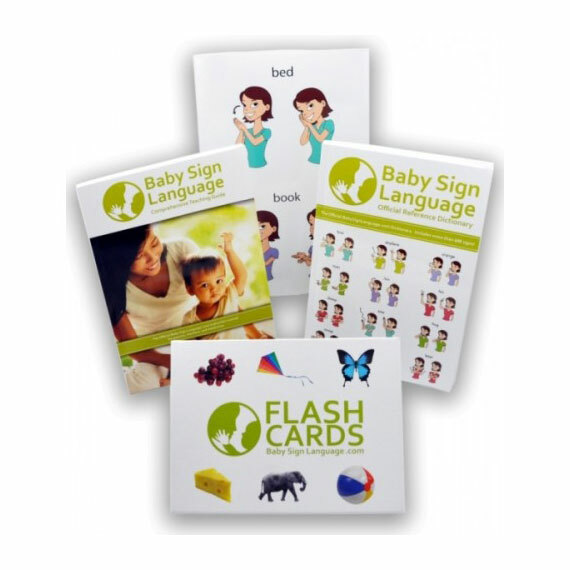 This is where signing really gets to be fun and where baby sign language lets your child express their creativity. Because babies have relatively limited vocabularies, they develop clever ways of improvising combination signs to describe what they want. For example, one of our reader’s children did not know the sign for train, so used big car instead. Another, seeing a turkey for the first time, called it a daddy chicken. These creative combinations give you a delightful insight into how complex baby’s thinking is. From years of teaching children, I find their thinking more fluid than adults. They seem to think more laterally and form the most interesting connections between seemingly disparate words. Combination signing is a late developing skill. 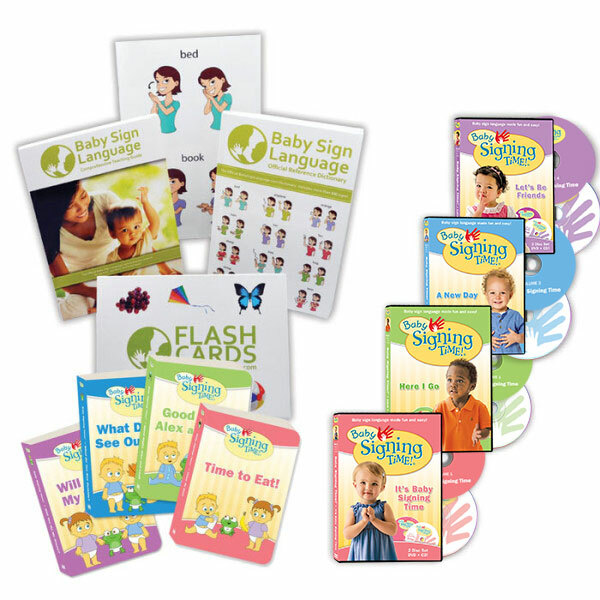 Because combination signing is an advanced skill, predicated on your baby having a substantial vocabulary, it is something that tends to happen most with older and more advanced signers. Combination signing becomes most pronounced around 18 months, just prior to children transitioning to speech. You can prompt older children to do combination signs by modeling combinations. One easy combination is connecting an adjective and a noun. For example, instead of talking about a car, talk about a yellow car, a big car, or a fast car. You can also encourage combination signs by asking them follow up questions. When they ask for more, follow up with “do you want more water or more cheese?” This gets baby in the habit of making more specific requests instead of expecting you to guess what they want based on context. 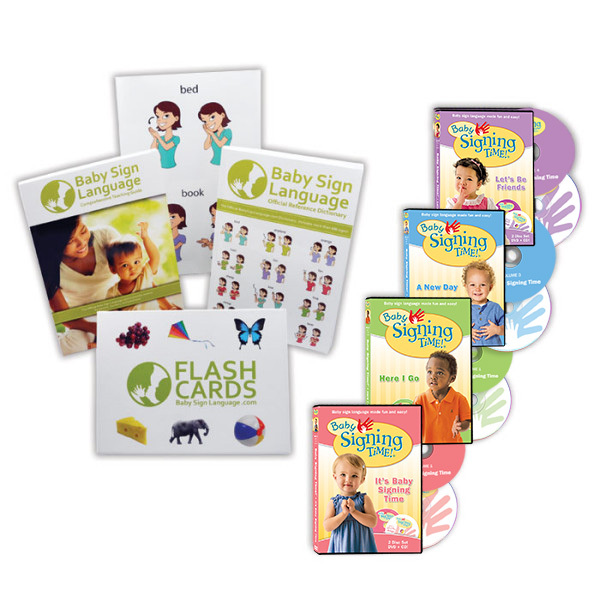 The Pepperberg method, explained in the Baby Sign Language Kit, is an excellent high-powered technique for helping baby start to use combination signs. Start communicating with your baby. Hi, Lila. Can you explain more what is the Pepperberg method in baby sign language, please? I am wondering when you advance from signing 5 things to more? Do you wait until they are signing back to you? If it takes a couple of months for the baby to sign back to you, do you only do 5 signs for those two months?